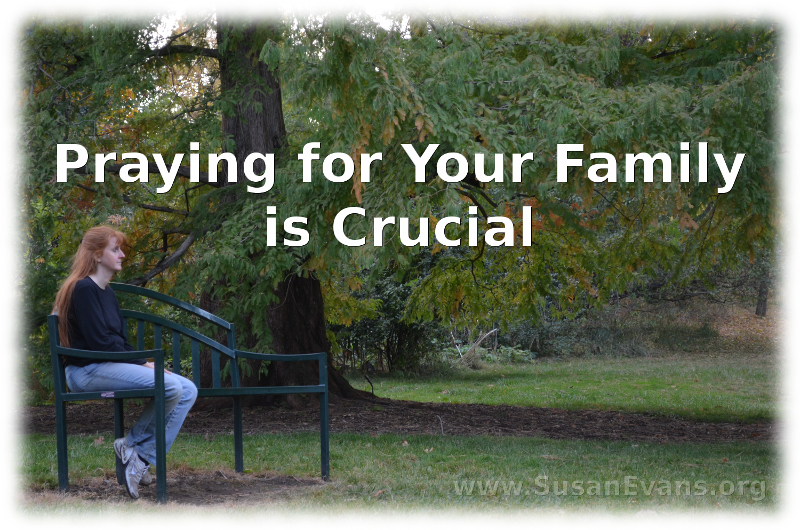 Why is praying for your family crucial? Because if you do not pray for your family members, maybe no one else will. Do you think your spouse and children will become the godly people that God requires them to be if no one prays for them? Maybe the enemy has convinced you that your prayers will not make a difference, so you’ve purposely decided not to pray. Consider that God commands us to pray throughout Scripture, and that our prayers are a sweet aroma to the Lord (Psalm 141:2). God delights in answering our prayers (Proverbs 15:8). If we ask God for bread, will He give us a scorpion? (Matthew 7:9) No! He gives good gifts to those who ask. And who better to bless than the members of your own family, the ones living under the same roof with you? Pray for each of your children by name, along with their character weaknesses. You will be surprised when God begins to work in those weak areas because you have committed those areas to God. Ask God how your child can overcome those areas, and if you are struggling with the same sin (like anger, for example), ask God to purge it from your life first. Then your child will see how God transforms lives in a tangible way. You can explain exactly how God set you free from the same sin, so that your child can be set free as well. 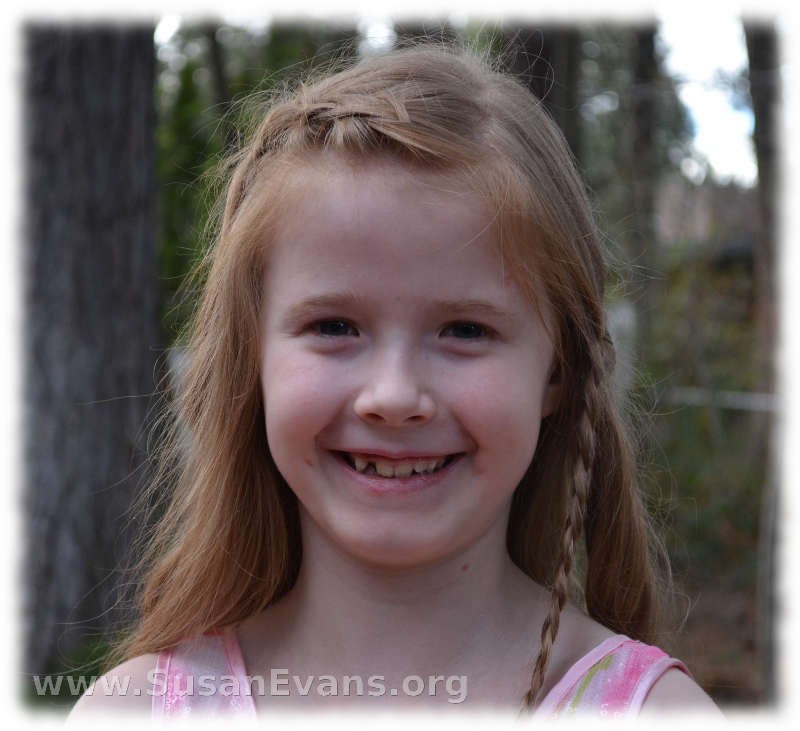 You will love my Easter dress story because you will realize that God is closer to us than we can imagine. He cares about each detail of our lives and is able to provide abundantly beyond all that we could ask or think. 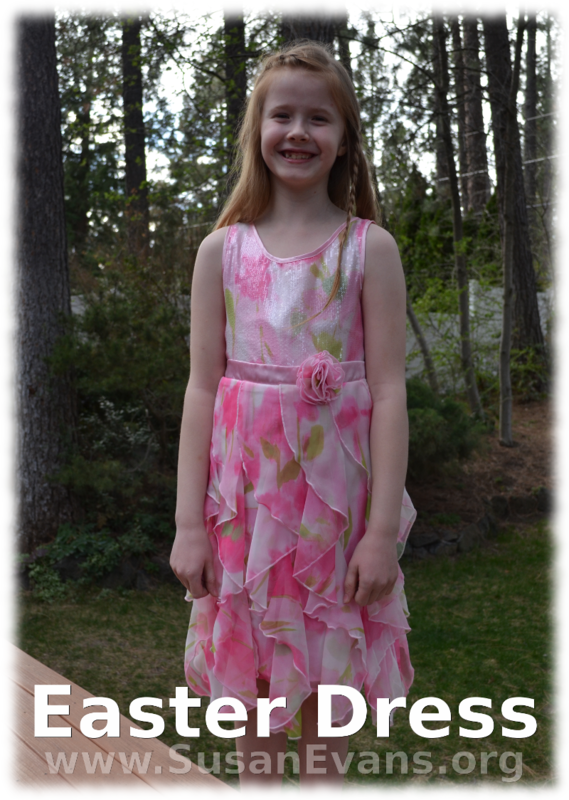 My story begins a few weeks ago when I saw a beautiful Easter dress at Costco. It was perfect for my daughter. I sighed and put it back on the rack. I never buy new clothes for myself or for my children because resale shops are so much more affordable. Even if I had the money, I would not buy it because money is limited. I either want to use extra money for something of eternal value, or for a refreshment for my marriage (like a getaway), or as an investment in my homeschool speaking ministry (my family business includes product creation, which costs thousands of dollars a year to produce). There is never enough money to do everything. I see money like a giant chess game, where I want to maximize each move to bring the most real joy into our lives. So I left the Easter dress on the rack. Fast forward a week. A friend of mine was meeting me at the river to go for a walk because of the nice weather. When we arrived, she asked me what size Rachel was, because she had a dress that was too small for her daughter, and she thought it might fit Rachel. It was brand new. I said sure, that we could look at it after our walk. So off we went for a walk, where I enjoyed sweet fellowship in the Spirit. When we got back to the parking lot, my friend opened her car and showed me the dress. I had a shocked expression. That was the exact dress that I wanted at Costco the week before, that I had carefully put back on the rack. And here God was giving it to me through this woman who was obviously prompted by God to offer me the dress. This just goes to show how great God is. He is so near. He paid attention to a small detail in my life. I’ve shared with you about how God provided for my needs back when we had no money and a ton of debt. Well, this was different. I didn’t pray about it, but God gave it to me anyway because He knew the desires of my heart. 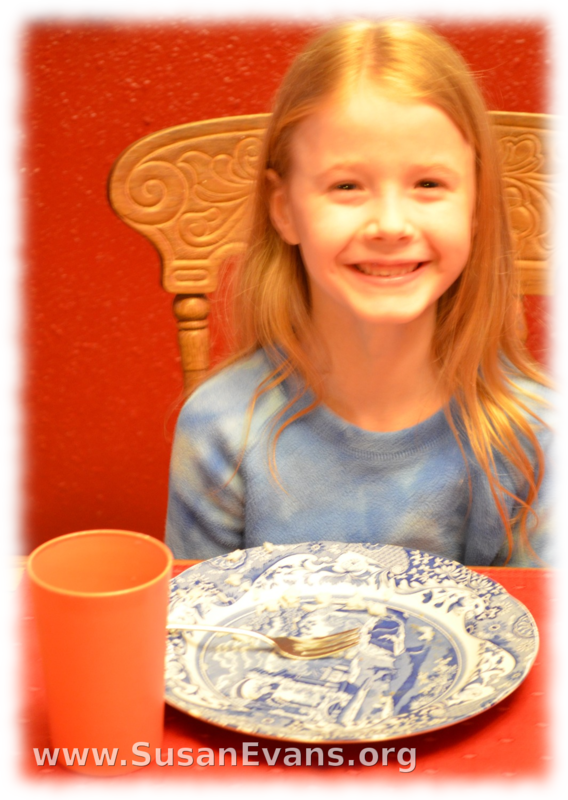 “May I be excused from the table?” my daughter asked. “Sure,” I said. She ran away from the table, coming back two minutes later. He couldn’t think of a specific instance. I always thought it was weird when friends would tell me that their day was ruined, that they were having a no good very bad day. Days aren’t good or bad, and they can be turned around at any moment. Yielding to God is the way to turn any day around. I’ve had my kids yelling and pushing each other and complaining and screaming, and we stop what we are doing. We ask God to help us walk by His Spirit instead of by the flesh. At every moment, there is something that God would want you to be doing. Yield to God to find out what it is. This bad day happened to be a Sunday when we were about to back out our driveway to go to church. Our car wouldn’t start. I looked at the despair in my husband’s face, and I felt it, too. We had no money to get the car fixed. We had just spent $800 to get the two cars fixed (the little car wasn’t big enough for our whole family to go to church). My husband told the kids to get out of the car. He opened the hood and sighed. This is not what he had planned to do on a Sunday morning. 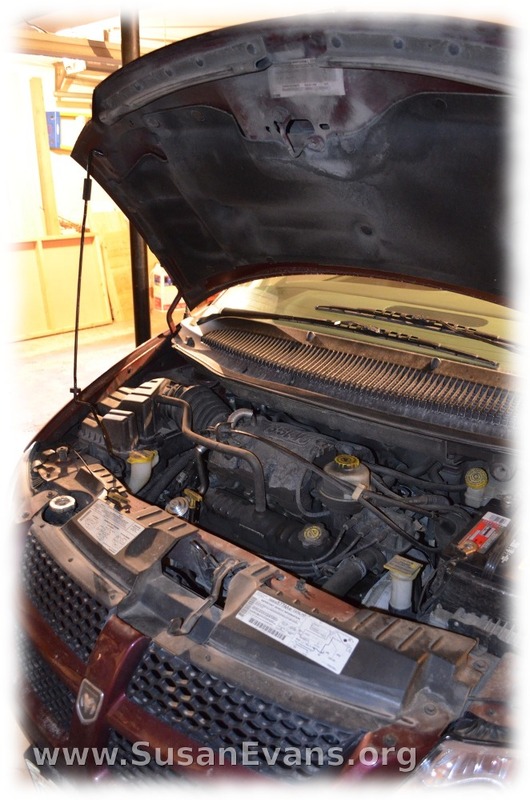 “Why can’t I have a car that works?” I heard my husband say when I walked up the stairs that Sunday morning. I told the kids to go to the living room. I asked God what I should do with them, and it occurred to me to do Bible sword drills. Even though my kids knew the books of the Bible by heart, they never found the Bible passages in time for when the pastor read them. My husband told me that I needed to do Bible sword drills with the kids, and I agreed, but we never seemed to have the time to do it. I had my kids get their Bibles, and I started by reviewing the books of the Bible. Then I had the kids open to the middle of their Bibles. Some of their Bibles landed in Psalms, others in Isaiah. I told them that the Old Testament books before Psalms were to the left, and the books after Psalms were to the right, including the New Testament. I told them to open to the middle, then try to find the beginning of Matthew. Hold that chunk in your hand. Feel how thick the chunk of pages is between Psalms and the New Testament. Now find the book of Judges. Find the book of Jude. That is Revelation, scoot back a page.